From canvas to framed enlargements to custom books and everywhere in between we offer a large assortment of artwork and products. We pay attention to the smallest details, from the time that we capture your image to the final piece of framed artwork that is ready to hang. We don’t make photos we crate Original Artwork. Originals are limited edition enlargements. 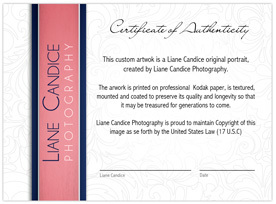 Original Artwork is presented with a certificate of authenticity. These stunning enlargements are produced at a leading photographic labratory on professional Kodak paper. Original artowork is mounted, textured and coated to ensure longevity. Your artwork is an investment and it should be protected. 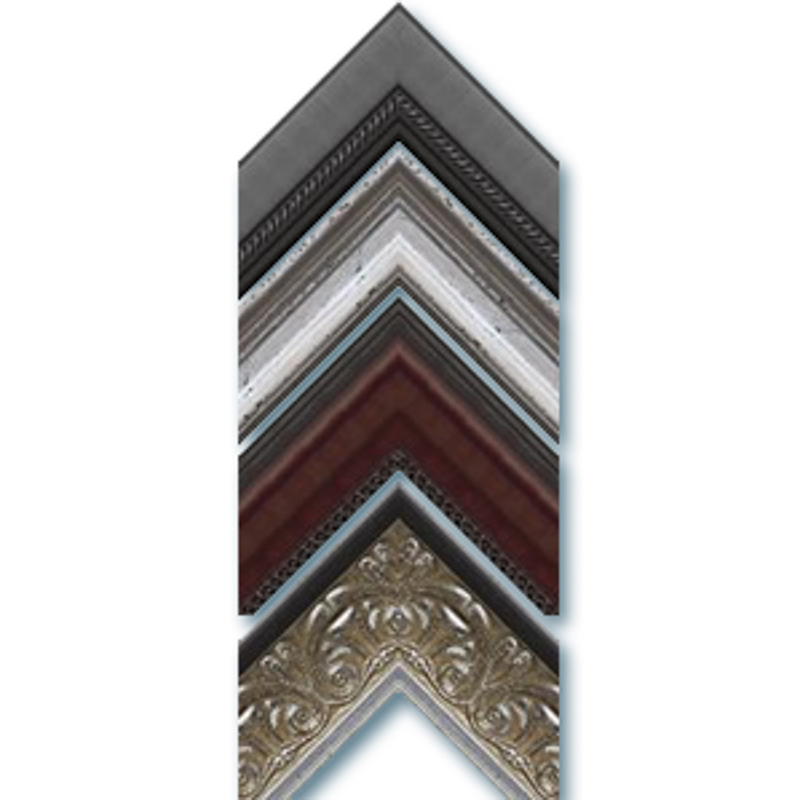 We offer a wide variety of fine frames and mats to complement you style and decor. Canvas Gallery Wrap enlargements are exceptional pieces of art, that are capable of standing alone. Choose a single canvas or a multi canvas design to make a dramatic statement. 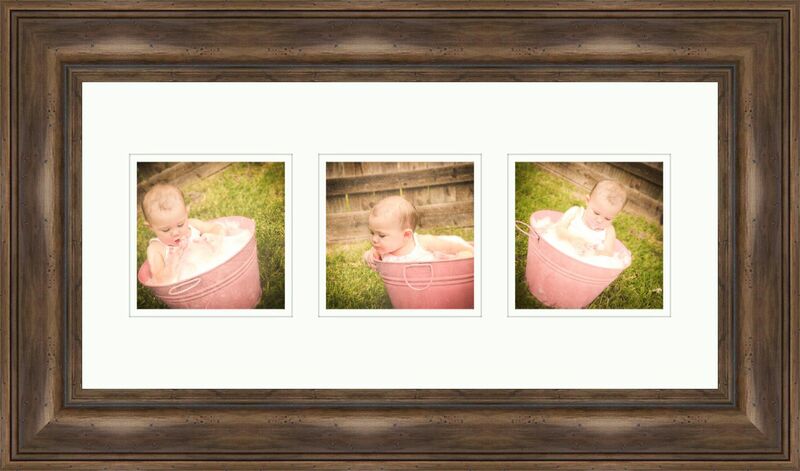 As one of our premier offerings the Canvas Enlargements are also presented with a certificate of authenticity. Your artwork is printed directly onto aluminum. It is block mounted and comes ready to hang on your walls. The rounded corners and coated surface means you can be sure it is as safe as it is stunning. Complement any wall with a Storyboard. Bring two or more image together to tell a more complete story. Choose from the traditional framed storyboard, the metal storyboard, or the standout. 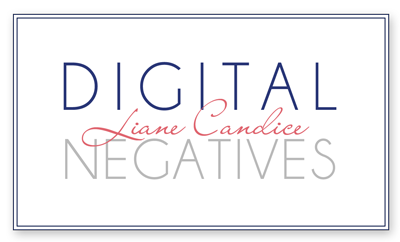 In our digital age it is quite often that I am asked if we sell our digital negatives. We are pleased to announce that we now sell Digital Negatives. We have a variety of custom products including custom books albums and greeting cards. Custom books are a great way to enjoy more of your images. Books allow us to showcase your entire session artistically, and since books and cards are portable they are great for showing off. Books are espessially good for maternity and baby sessions.